Epoch Slide™ Presentation Management Solution includes our intuitive presentation composer for building better presentations faster than you are doing now. Epoch Slide™ is intuitive, easy to use and cost-effective for empowering your teams to boost productivity. Epoch Slide™ Presentation Management Solution from Roj Prasad on Vimeo. Empower your teams for Sales Enablement, Speaker Support, Training Course Building and much more. You team use Epoch Composer™ to create custom presentations for each opportunity faster than they are doing now. Users can search our intelligent slide library to find choice slides to build a better presentation to close more deals or deliver their content. Clients use Epoch Slide™ drag & drop presentation builder to create custom presentations using PPTX slides within minutes or hours instead of days and weeks. Users can quickly build custom presentation on-demand using a desktop Internet browser, iPad or an HTML5 supported tablet anytime anywhere. Provide users access to company approved slides, presentation, and documents in real-time. 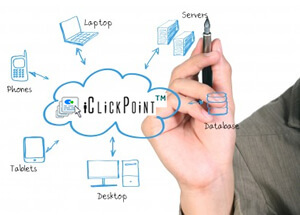 Use Epoch Slide™ to distribute approved PowerPointTM presentations and slides throughout your organization securely 24 x 7 in a centralized location. Deliver updated slides, presentation and documents so your team so they can create better presentations and react faster than the competition. Click here to read customer case studies. Epoch Slide™ presentation management solution with an intelligent slide library software is available as a managed hosted service or Software as a Service (SaaS) and Enterprise License for your Intranet. Epoch Slide™ presentation management solution is available in multiple languages including; English, German, French, Italian, Spanish and Portuguese. Web Epoch is providing presentation management and slide dissemination solutions for PowerPoint, supporting sales force, marketing and speakers since 1997.